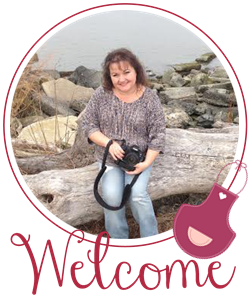 I'm a Delaware girl blogging about my big family, food and life in the First State. 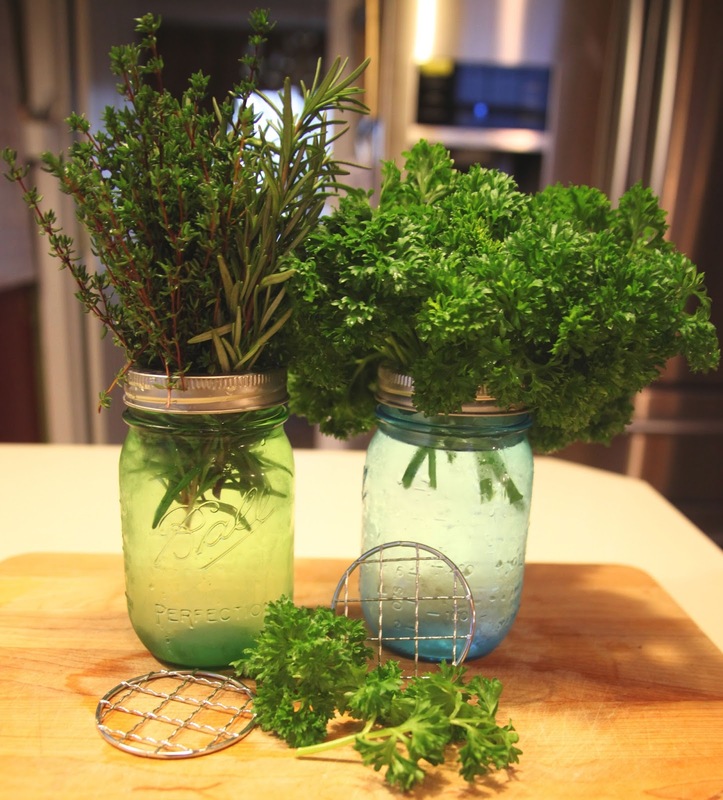 I love the taste of fresh herbs, and use them in just about every meal I make. Thankfully, most of my herb garden hasn't perished with the frost, and I'm still able to enjoy them. During the Autumn, when I'm not quite sure how much longer my herb garden will last, I like to cut big bunches, and store them inside until I'm ready to use them. I have found one of the best ways to keep them fresh is by using the Mason Jar inserts by Transform Mason. Click below to read more. 1. To save time when cooking, I prep my herbs first by rinsing them twice in a bowl of cold water. 2. 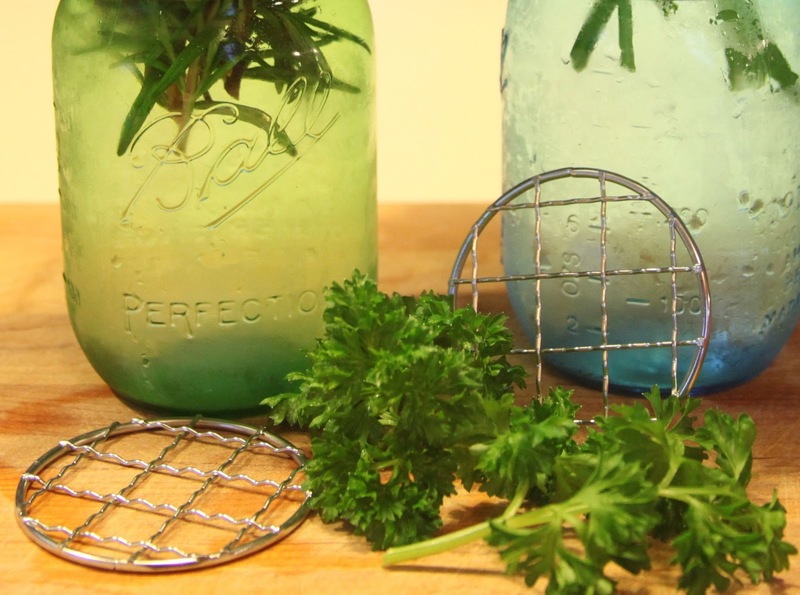 Insert the stems of the herbs into a mason jar that has been fitted with a Wide Mouth Frog Insert by Transform Mason. 3. 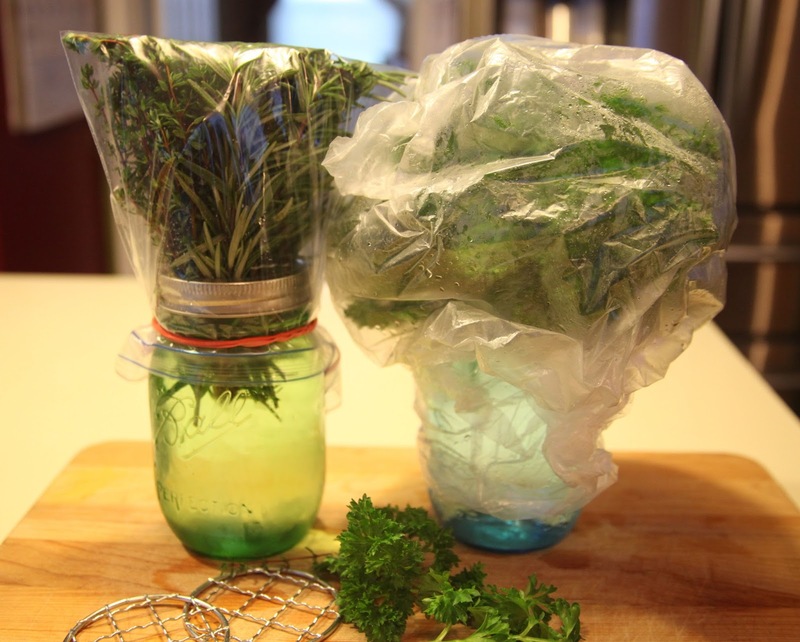 Place a plastic bag over top of the herbs. I keep it tight by using a rubber band. This will create a greenhouse effect and help to keep them fresh and prevent wilting for at least two weeks for leafy herbs like parsley or basil and up to a month for woodier items like rosemary and thyme. 4. For best results, keep the jars refrigerated. Romertopf Bread: The easiest loaf of bread you'll ever make. Copyright 2014, Elizabeth Obsesses. Powered by Blogger.